It addition to being one the most historically significant places in Maryland, the city of Annapolis is also one of the fastest growing cities in the state. It is centrally located between Baltimore and Washington D.C. and is home to thousands of commuters who work in those two cities. Washington D.C. is about 30 miles to the west and the main access road is Highway 50. Baltimore is about 25 miles to the north via Interstate 97. As one of the state's few incorporated cities, it has its own police department, which is responsible for most of the law enforcement in the city. The Anne Arundel County police also have a presence in the city, but the APD are typically the ones who make the majority of arrests. The most common crimes here are DUI, drug possession, and theft. The city has a relatively low level of violent crime but there still are incidents of assault and robbery. Contact the criminal defense lawyers at The Herbst Firm if you have been arrested or are being investigated by the APD or the county police. Our criminal lawyers have real experience defending Anne Arundel County cases, and will fight for your rights in district court and in circuit court. If you are arrested for a crime your case will likely be sent to the district court in Glen Burnie or the district court in Annapolis. The Firm has extensive criminal trial experience, and our lawyers will not hesitate to demand a jury trial in circuit court. Simply put, we will fight to achieve the best possible outcome for your criminal case, and our only goal is our client’s satisfaction. We are available 24 hours a day for a free consultation, and to answer any questions or to give out advice to our clients. Annapolis is both historically significant in Maryland, and in the United States. It is home to the United States Naval Academy, which is not only home to thousands of students, but also dedicated employees. 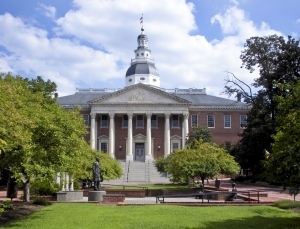 Annapolis is the capital of Maryland and home of the Maryland State Legislature, but it is also a little known fact that it was once the capital of the United States. It may have been only for less than a year, but Annapolis was once the political center of what would turn out to be the most prosperous and powerful country in the world. While there are only about 40,000 full time residents, the metropolitan area is growing rapidly and is also a popular tourist destination, especially during the summer. There is an obvious lack of public transportation in the city, as it is the only capital on the east coast without a railway. Therefore getting in and out of the city is predominately by car along Maryland’s highways and interstates, or via the various back roads. The lack of public transportation is also one reason why there are a large amount of traffic stops, and arrests for such crimes as DUI and possession of Marijuana by the APD. Our lawyers are also available to meet in person at any time, and we will come to you to discuss your criminal case.